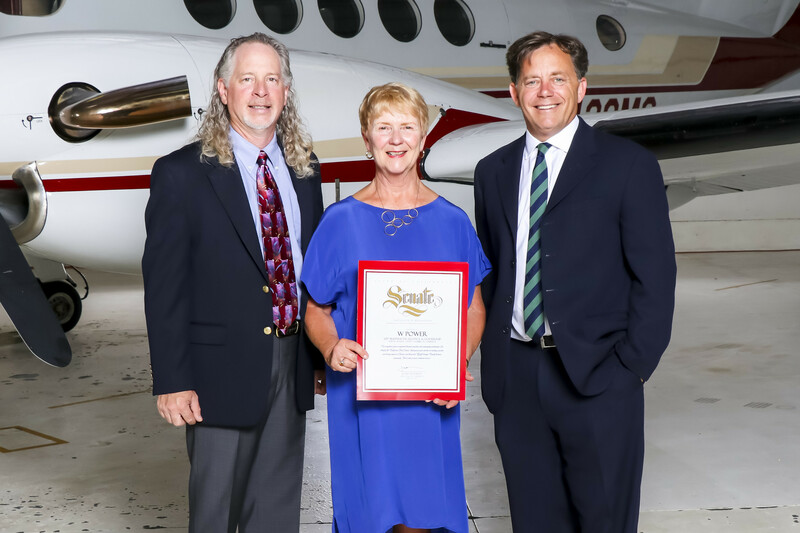 June 23, 2017 – Fullerton, CA – In a large awards ceremony held this evening at the Fullerton Airport by the North Orange County Chamber of Commerce, W Power received the 2017 North Orange County Chamber of Commerce Business Excellence and Leadership Award. 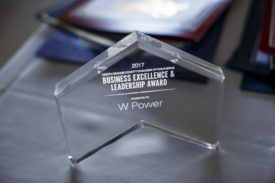 W Power was recognized by the Chamber for its leadership in partnering with the City of Stanton on the Stanton Energy Reliability Center, creating a fund to sustainably support ongoing parks maintenance and creating a local scholarship fund for deserving high school seniors pursuing careers in Science Technology Engineering and Mathematics. Many elected officials were on hand for the awards ceremony and W Power received Certificates of Recognition from: US Congressman Ed Royce (39th district), State Senator Josh Newman (29th district), Assemblywoman Sharon Quirk-Silva (65th district), The State Board of Equalization, The City of Stanton, The City of Fullerton, and the City of Placentia. W Power is a California certified woman-and-minority owned business enterprise (“WMBE”) focused on doing business in California’s energy industry. W Power develops, builds, owns and operates community energy reliability centers (CERC).